With one in four adults in the UK now classed as obese, the issue of how to fit people comfortably in aeroplanes is a major issue for companies. 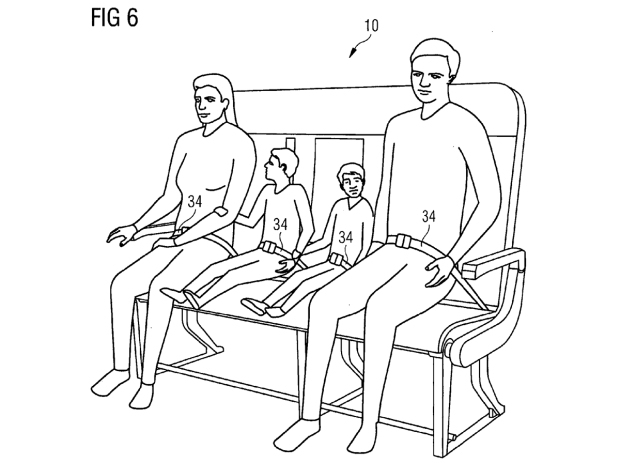 This new bench design can fit two obese passengers, three slim adults or even a family of two adults and two children. Parents will be happy if it goes into production as it could mean they have discount seats for children who take up less space. But overweight passengers could end up paying a premium if they require extra room. 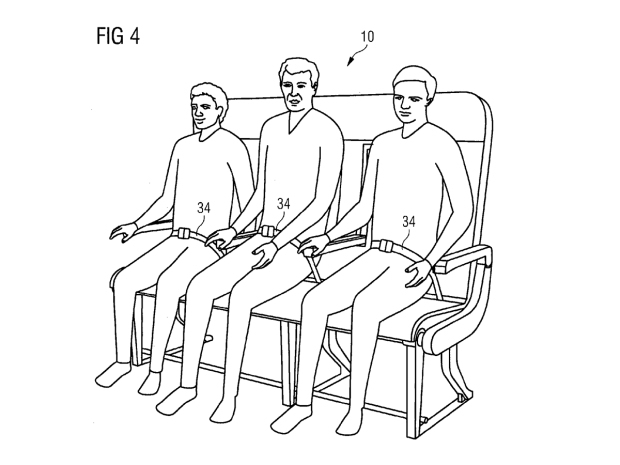 Airbus, which builds aeroplanes for companies including British Airways, Emirates and Virgin, has submitted a patent for the ‘Re-Configurable Passenger Bench Seat’. 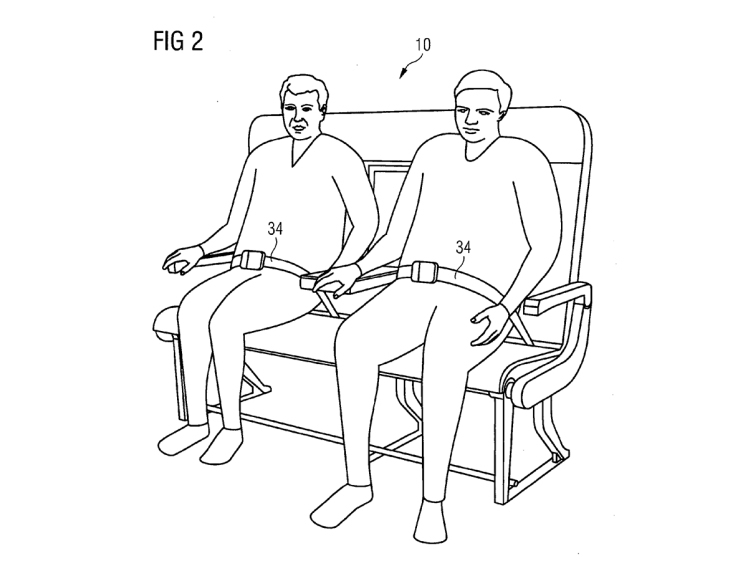 These drawings have been submitted to the US Patent and Trademark Office, the Daily Post reported.